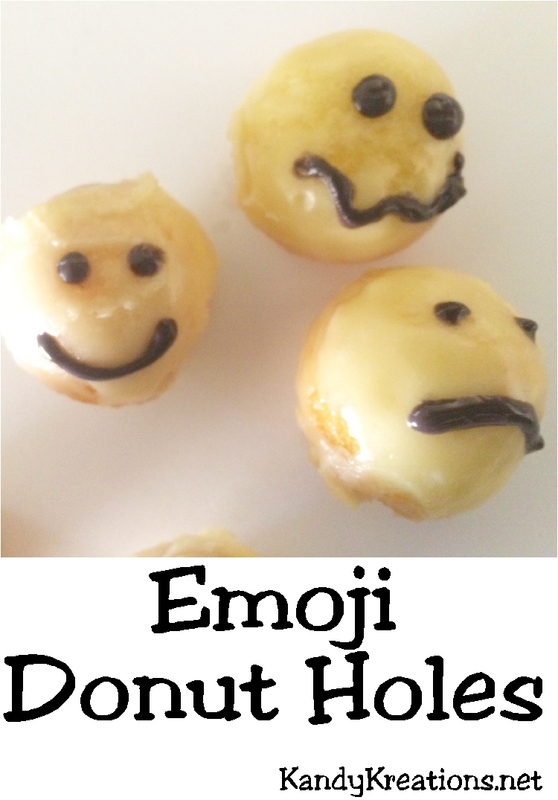 Add a little smile to your day with these Emoji Donut Holes. These smiley face emoticons are a perfect addition to your brunch or Emoji party. 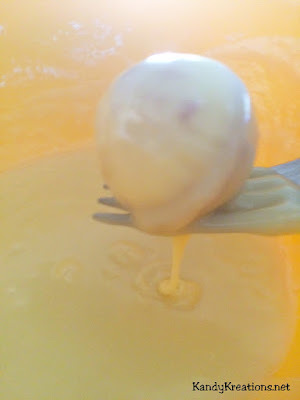 They only take a few steps if you purchase premade donut holes, or are quick and easy if you make your own using the recipe provided. Mother's Day is right around the corner, and breakfast in bed is probably one of the most given gifts of the day. But breakfast is only good if it's a late afternoon brunch and super easy to eat and enjoy. 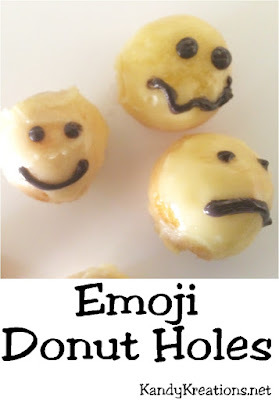 Why not make mom smile with some cute Emoji donut holes for Mother's day brunch. 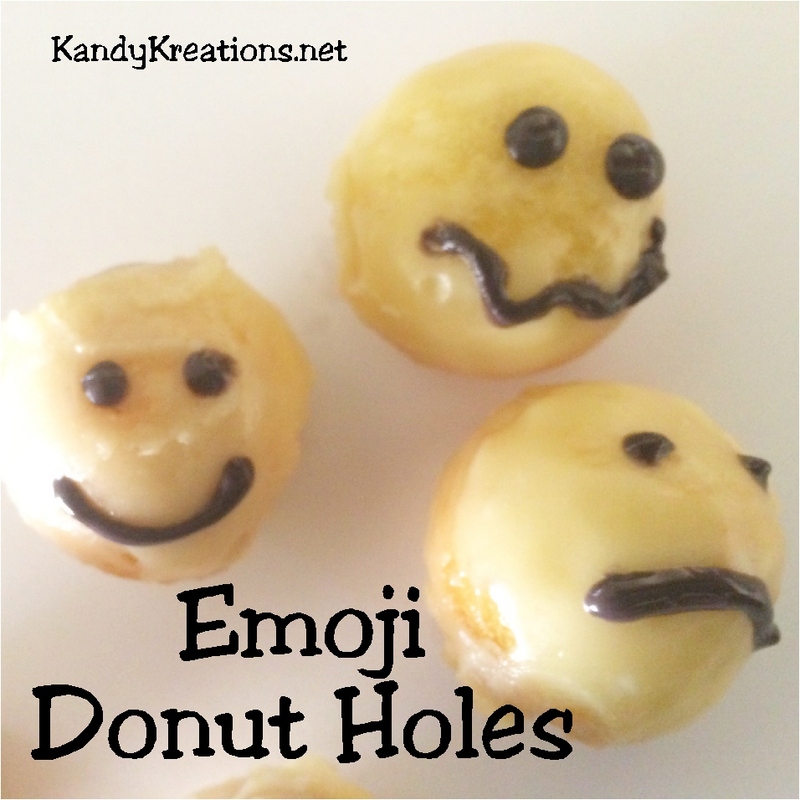 They are super easy to create, especially if you purchase pre-made donut holes. 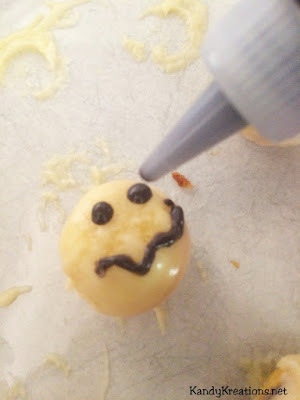 You can create donut holes using an easy recipe and a Babycakes cake pops maker. Cook for 3 1/2 minutes in your Babycakes cake pops maker. Allow to cool. 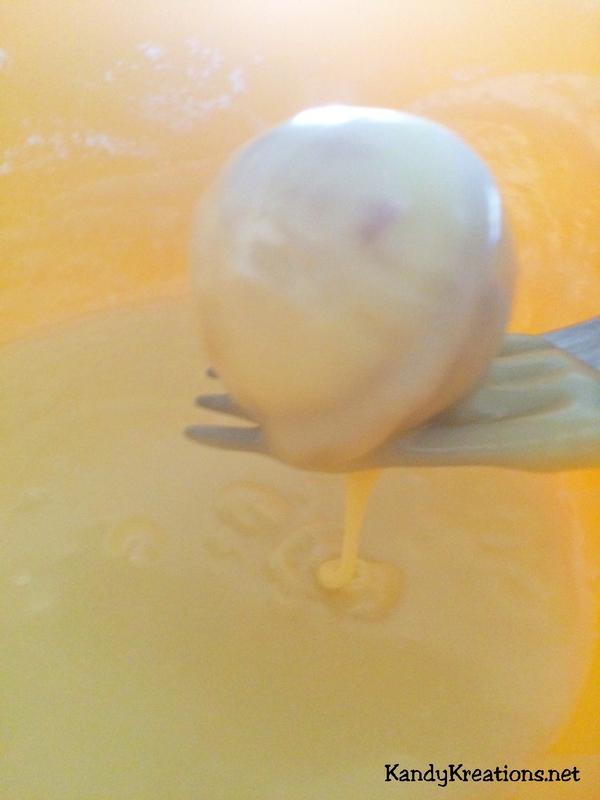 Dip each donut hole completely into the frosting and allow to dry and harden. Once the donut and frosting and dry, melt a little bit of black chocolate in a plastic decorating bottle and draw a bunch of emoticon faces on each donut hole. Allow to harden and enjoy your donut holes for mother's day.